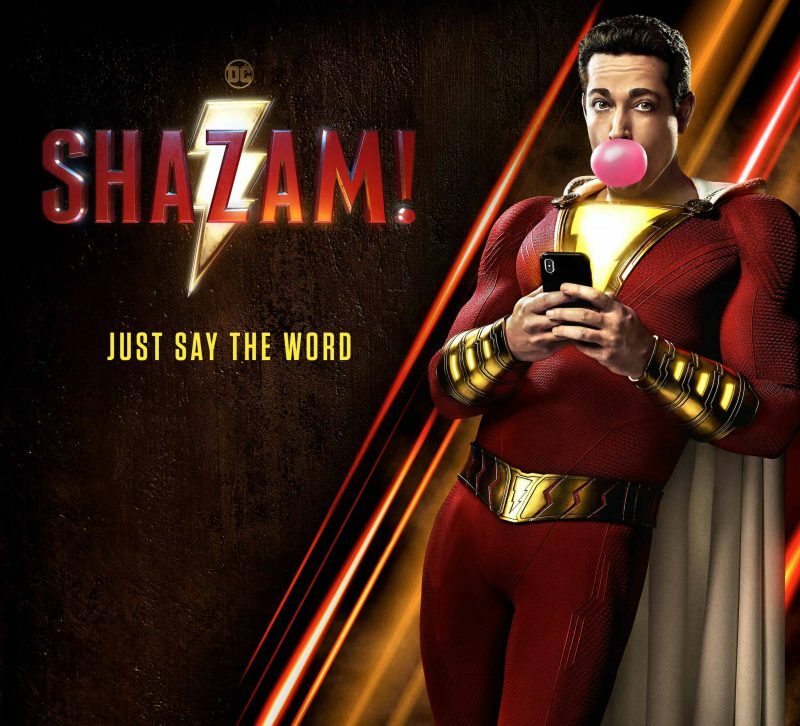 I have already seen Shazam! twice. Thanks to Fandango and Warner Brothers for an early access screening day on Saturday, March 23. There were two showings at the theater I went to in Burbank, California. While other theaters were showing it between 2 to 4 screenings that afternoon across the country. Giving fans a huge opportunity to see this movie two weeks before its official release. And I hope many fans took the advantage like I did. I decided to see the movie back-to-back to get the experience twice allowing me to watch what I might have missed the first time, enjoy the humor even more, and enjoy the movie with two different audiences. Shazam! was complete enjoyment from beginning to end. With a running time of over 120 minutes, it does not feel like it. And there is the urge for more. These are the kind of movies I enjoy and feel they are few and far between. I also believe this is the movie DC comics has been searching for for some time. The big difference between this movie and the other recent stand-alone movies as Wonder Woman and Aquaman are there are many references to the Justice League. Bringing in the existence of Batman and Superman as Freddie is a big fan of the two superheroes. Even showing Billy his small collection and asking “if you were a superhero” questions. This inclusion over the other two, brought the DC universe into the movie and making Shazam! already feel like he is part of the Justice League. There are also a lot of references to the number 7. And not just the seven sins of man. Look for the signs. It was also great to see previous DC movies actors in the movie. Not only do fans have the joy of seeing Mark Strong (Green Lantern) make a great villain in the movie. Fans will also see John Glover from Batman and Robin. Overall, the movie was fantastic!! It is a “take your kids to the movies and forget the world around you” kind of movie. There are many fun moments and plenty of cheers. Stay until the end of the credits for 2 short scenes. And let yourself say “Shazam!” before you leave! Starring Zachary Levi, Mark Strong, Asher Angel, Jack Dylan Grazer.